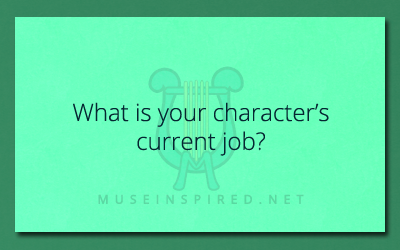 Current Job - What is your character's current employment? Character Development – What is their current job? Employment is an important part of a person’s life. What is this character’s current job? People spend the vast majority of their life working. At least most people do! This has been true since the dawn of time where the primary jobs were hunting and gathering. The jobs has a person has done gives them experience and encounters – this adds up over a lifetime. Even if your character is just a teenager, maybe they are after their first job or just starting one. Adult characters can be struggling to find new employment, loving or hating their current job. Maybe they are out seeking inspiration for a new career! Need a little help in thinking of a good job history? This List of Careers is a great resource. Character Development - How do they handle a stranger approaching them at a bar? Character Development - What's their style of underwear? Character Development - Where does your character go to get some peace?